Immaculate 3br/2.5ba/1cg townhome nestled in the well-established community of Oak Creek. Showcasing attractive CURB APPEAL and a charming front porch, this 1400SF MUST SEE unit will not disappoint. Built in 2015, you will fall in love with this beautiful "like new townhome that lives like a single family home! Bright and welcoming, features include an OPEN FLOOR PLAN, an UPGRADED kitchen, and large glass sliders, allowing plenty of natural light to flow throughout. A perfect space for spending time with your friends and loved ones! The UPGRADED kitchen includes GRANITE counter tops, STAINLESS STEEL appliances, a closet pantry, and an island with breakfast bar seating. All three bedrooms are upstairs and offer ample space. The master retreat boasts a well appointed en suite bath with his & hers sinks. Enjoy the beautiful Florida weather on your charming patio which backs up to private CONSERVATION. Surrounding green space is ideal for pets, play, or gardening. Dont forget to check out the beautiful community POOL! 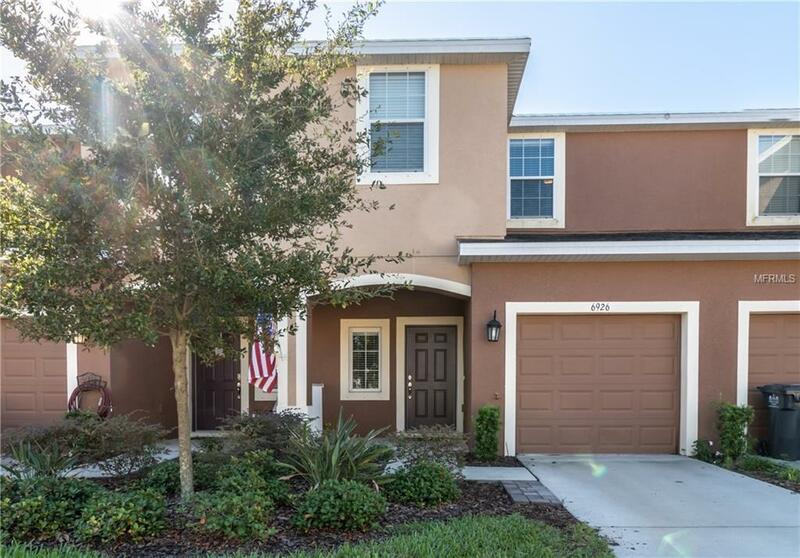 Oak Creek is nestled just off Falkenburg Road and US 301 near Brandon, minutes to local schools, shopping, dining, 30 minutes to MacDill AFB, and just 15 minutes to Downtown Tampa! Pet Restrictions Domestic Only. 2 Pet Max. Buyer Responsible For Verifying Any And All Pet Restrictions With Association.